When the Italians were busy becoming famous for their Parma ham and the French for their Camembert, Denmark’s pastry chefs were putting the country on the culinary world map. In the 19th century, cakes were the height of fashion. Upper middle class ladies and gentlemen, dressed up to the nines, would sit down to afternoon coffee, nibbling mille-feuilles, fragilité cake and iced Danish pastries, elegantly served on tiered cake stands and fine porcelain. In recent years the trend for serving imaginatively designed cakes to friends and family on special occasions has enjoyed a revival. 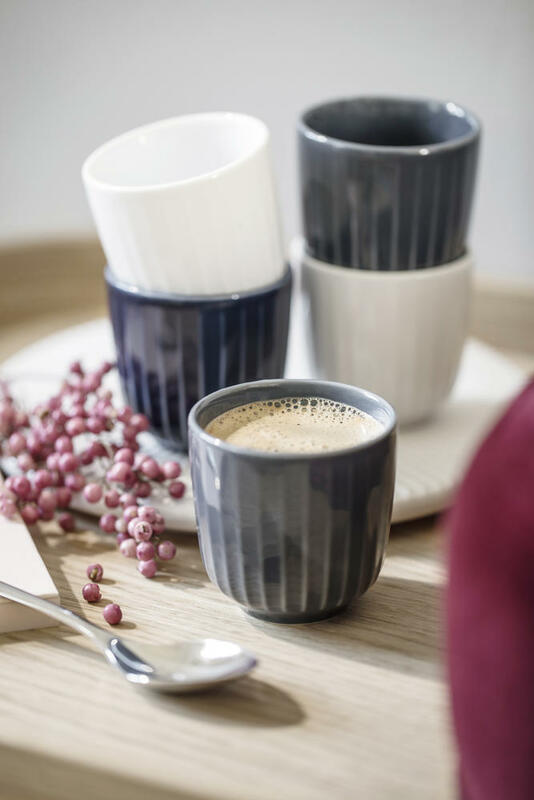 So, for the new Hammershøi cake and coffee tableware, Hans-Christian Bauer has drawn his inspiration from history, while lending the collection a cutting edge impact with his modern, Nordic design aesthetic. While the elegant furrows inspired by the artist Svend Hammershøi’s original works, combined with the classic look, evoke memories of past traditions, they also inspire innovation and inventiveness. 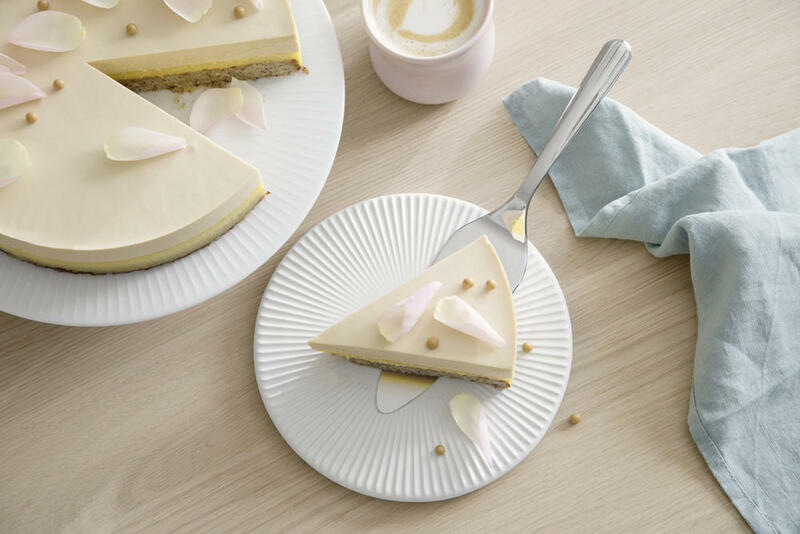 The new range features everything you need to present your cake creations, at the same time matching the rest of the Hammershøi tableware. The range includes everything from a white porcelain cake dish on stand to an espresso cup and a thermo cup in five colours. 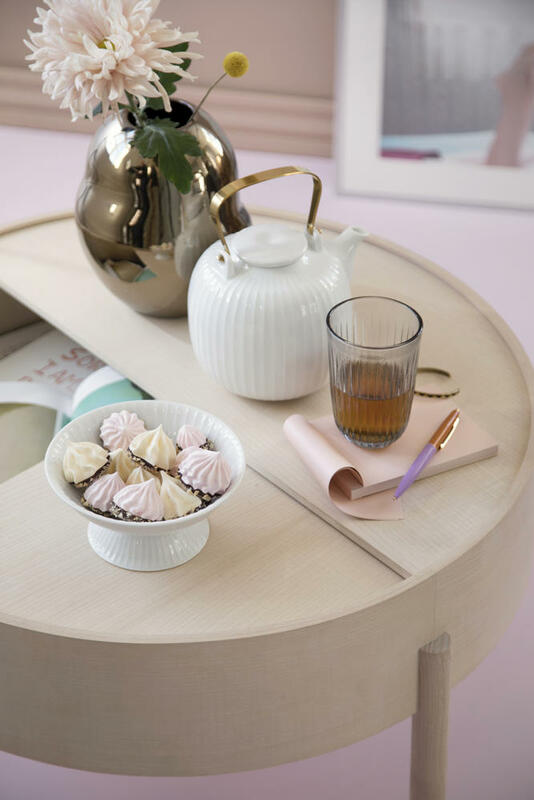 There is a classic, white, porcelain and stainless steel étagère, perfect for an elegant display of cakes and snacks, and a rotund white pedestal bowl with a base that raises it above the table, giving it a voluminous, yet light look. The design is clearly inspired by the good old days, when traditions were honoured, while the iconic furrows invest the classic design with a modern look. The porcelain is beautifully complemented by cake forks and a cake slice in high-lustre polished stainless steel. The long blade of the cake slice cuts a cake perfectly and makes it easy to serve the cake’s filling. The new cake forks and cake slice make for an elegantly laid table, so any event - whether a milestone birthday or a spontaneous Sunday in the garden - will be festive and aesthetic. For more than 50 years, the artist Svend Hammershøi was associated with Kähler’s workshop, where he created his large vases with the iconic furrows. 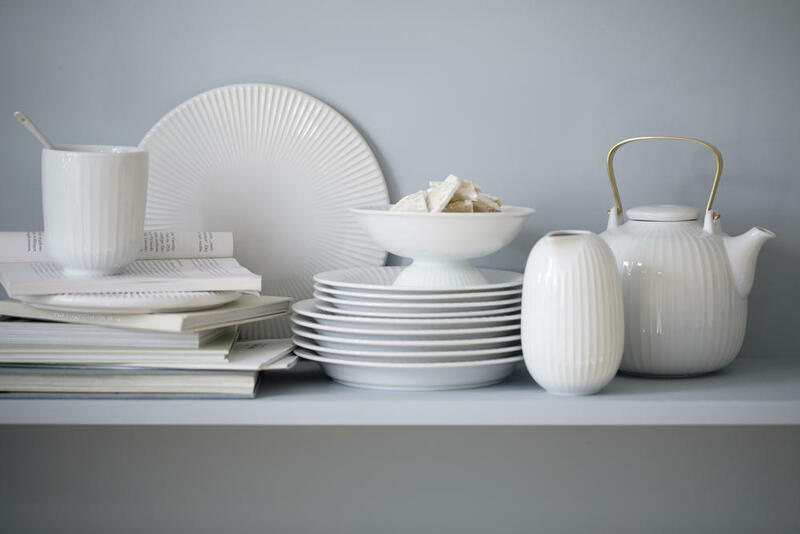 In collaboration with Kähler, the designer, Hans-Christian Bauer drew inspiration from this style for the Hammershøi range. With the new collection, Bauer re-embraces Kähler’s proud 179-year tradition of craftsmanship. His personal creativity inspires users of the tableware to follow in the footsteps of Denmark’s pastry chefs and create their own masterpieces.